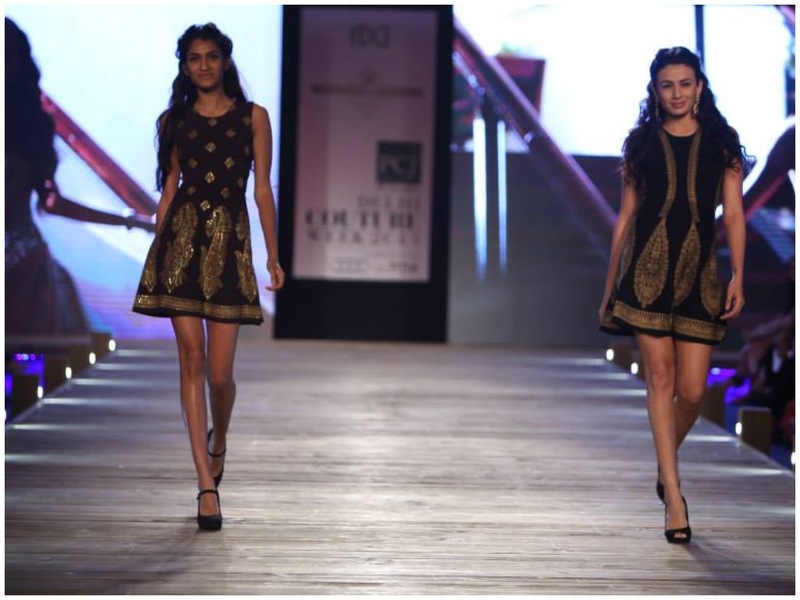 Monisha Jaising’s collection was very modern. 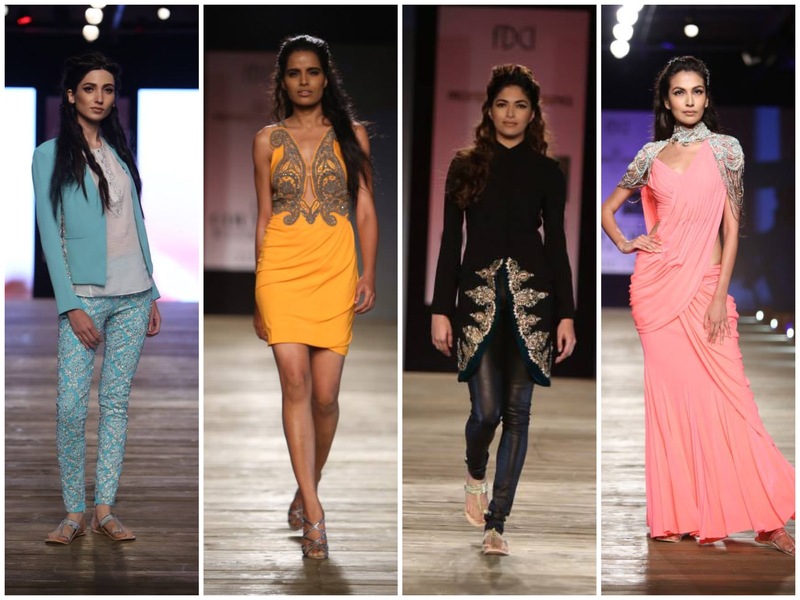 A lot of crazy things were seen on the runway. By that I mean, mixing of silhouettes,non-traditional designs. 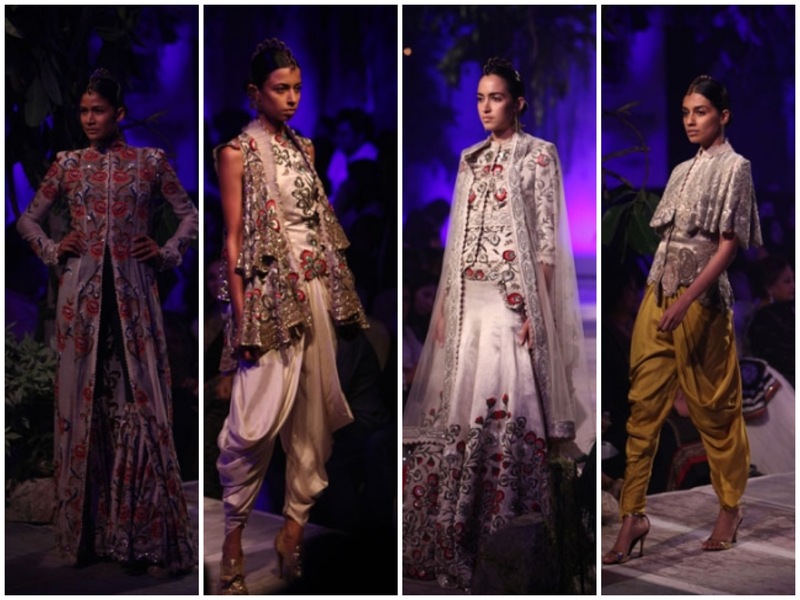 There were gowns, jeweled rompers with brocade sherwanis and much more. 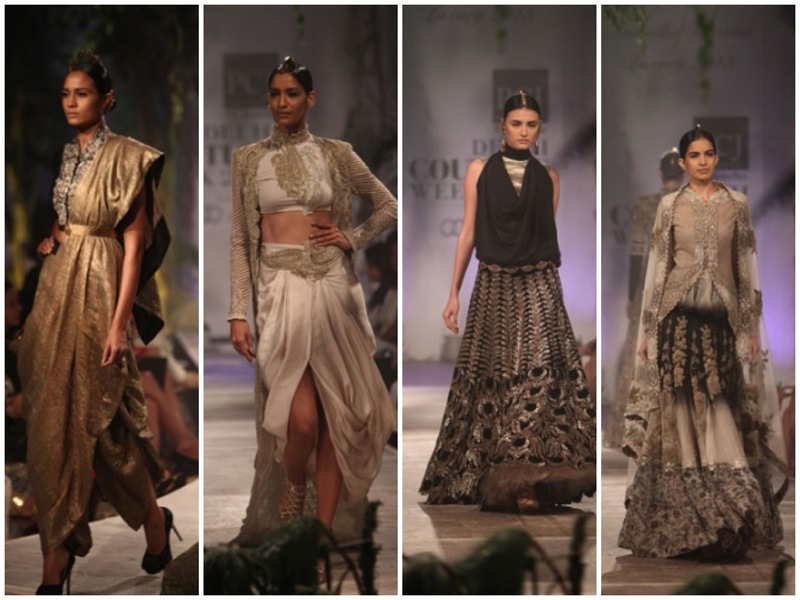 Anamika Khanna’s collection was much of the highlight in the second day of couture week. 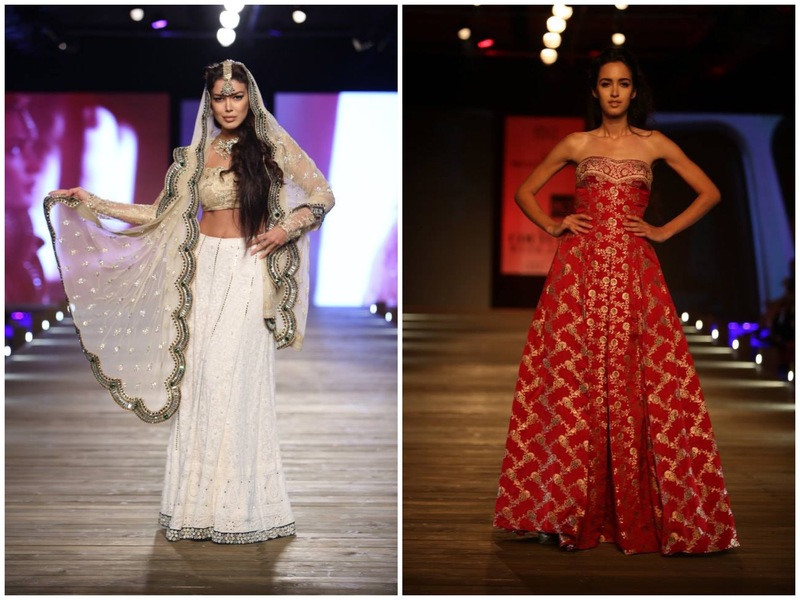 Intricate embroidery and embellishments in pops of red, blue, silver and gold, added color the outfits. 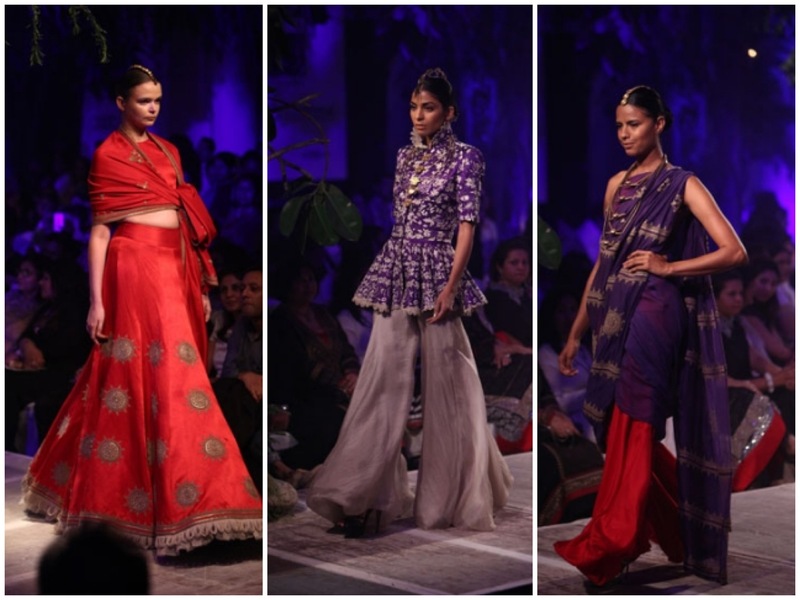 It was interesting to see fitted pants with sharara-esque flares, skirts inspired by Maharashtrian saris, and sheer embellished capes. It’s hard to believe that she has no formal training in fashion!